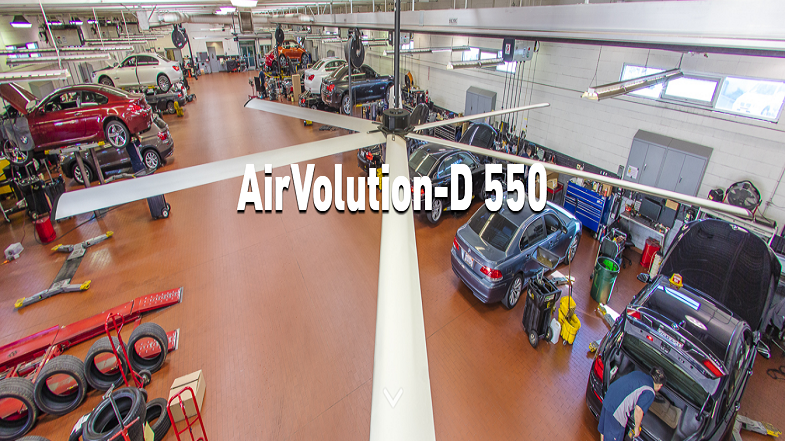 "HVLS fans deliver a cost-effective climate control solution by creating a cooling effect "
The AirVolution-D 550 is part workhorse, part racehorse. This premium fan houses industrial power within its sleek design, providing the ideal solution for climate problems in your mid-sized spaces. It adapts to your building’s input voltage, assists in troubleshooting, and integrates into building automation systems. If the 550 is struck by an object, shaken by an earthquake, or bombarded by high winds, the fan will detect the disruption and turn off.